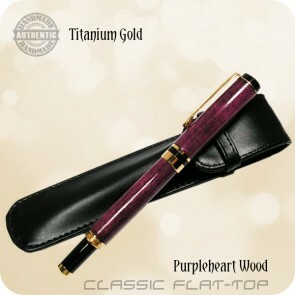 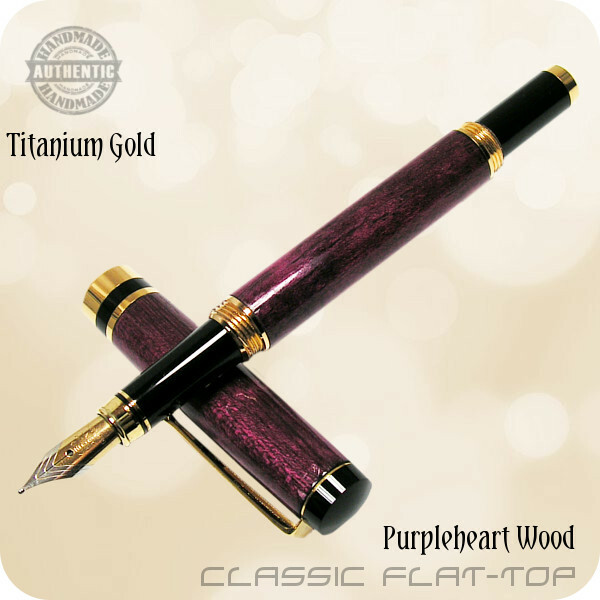 This genuinely handmade Flat Top Classic Fountain Pen has been handcrafted from a beautiful exotic Purpleheart Wood from South America complimented by the lifetime durable Titanium Gold plating. 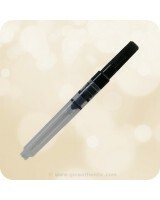 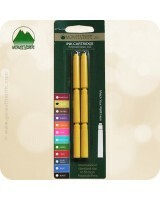 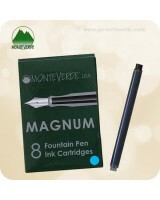 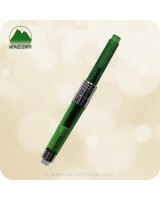 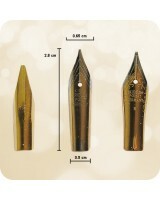 This is a medium sized pen that is best suited for a person with smaller to medium hands. The Purpleheart or Amaranth tree is prized for it's beautiful heartwood which, when cut, quickly turns from a light brown to a rich purple color. 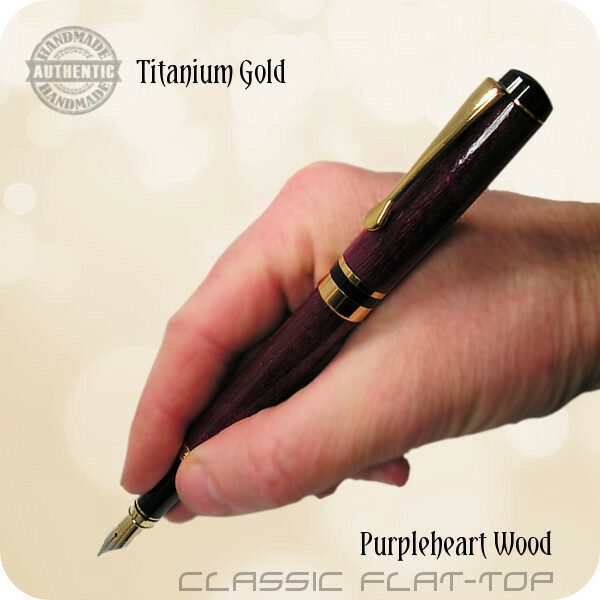 Exposure to ultraviolet (UV) light darkens the wood to a brown color with a slight hue of the original purple. The longer the wood is exposed to UV lights (sunlight), the colour of purple slowly changes from a light purple to a substantially chocolate-purple colour. 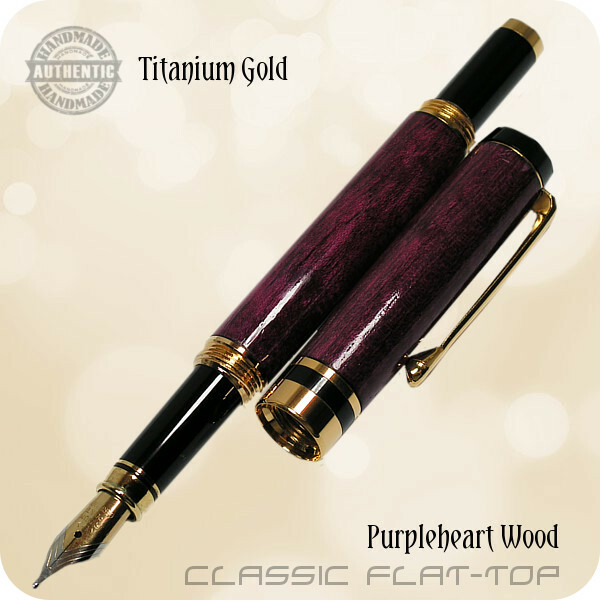 The wood is also known as amaranth and violet wood.